I did this painting several months ago when I happened to walk upon this band (Don Abundio y sus Traviesos) playing spontaneously at the Smithsonian Folklife Festival in Washington, DC, which is where I took the photo for inspiration. 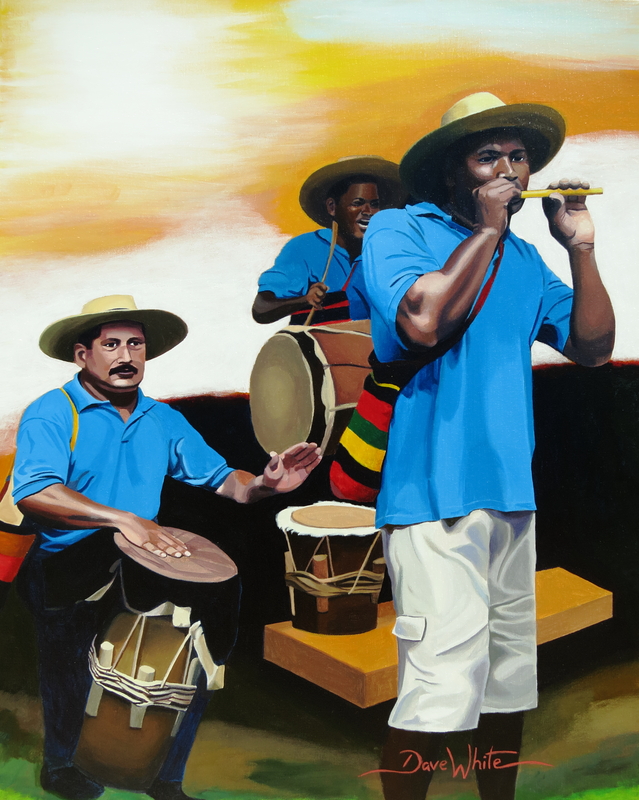 The band is an ensemble from the Caribbean side of Colombia that plays intoxicating percussion rhythms, together with singing and dancing. This acrylic painting is painted on a 24″ x 30″ canvas.